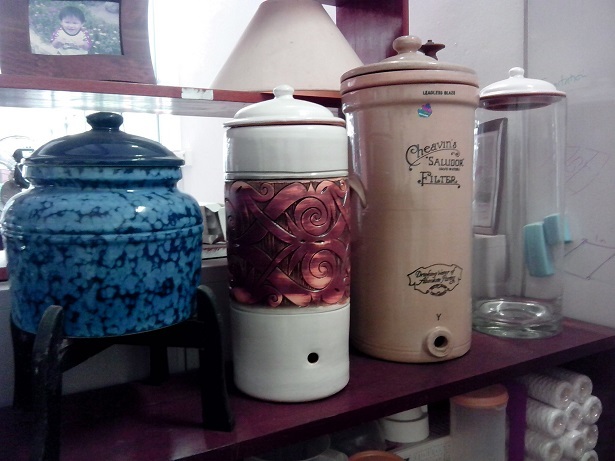 Lead in tap water was mentioned in some of my earlier posts - 1, 2. 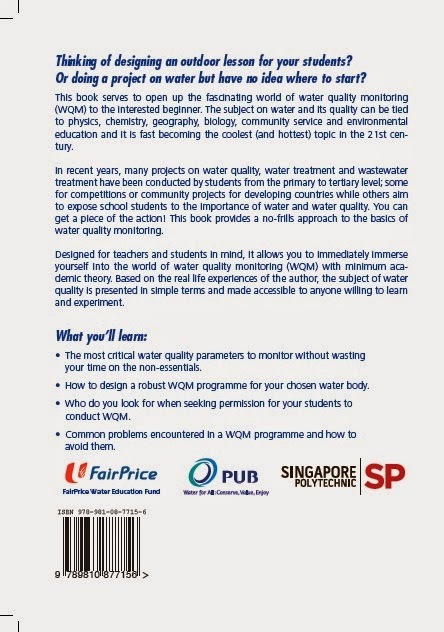 Essentially, SG tap water is relatively safe when it comes to lead. "Unless you happen to live in a really old building which still retains its leaded pipes over the decades... and unless somehow your building falls under the radar of the extensive sampling and monitoring programme... then maybe you should be worried." Nevertheless, I had a concerned reader contacting me about his worry of lead in tap water because he bought a water faucet over the net from Taobao. Apparently, he read (only after buying the faucet) about lead being used in fabrication of the faucet. With online shopping becoming more common now, who even knows much about the product one bought? Where are the parts from? Are they certified safe? 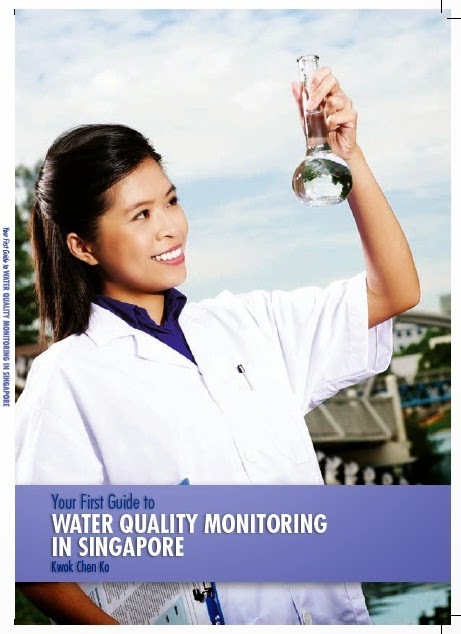 Are the accreditation standards different from SG? 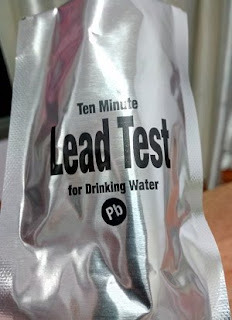 In another post, I recommended this product to test for lead in water painlessly. I chanced upon another similar product but of a different supplier on Amazon and got 2 tests for SGD33, inclusive of delivery. 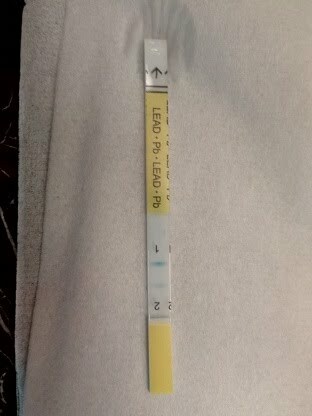 Figure: Test kit for lead from USA. About as foolproof as a test kit can be. Figure: The testing materials are all packed in a foil package. 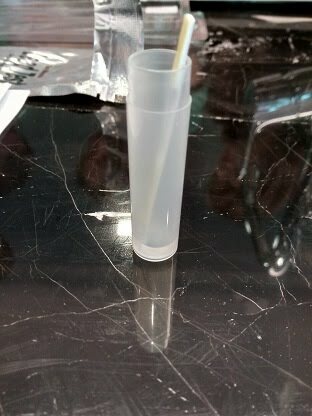 Open it only when you are ready to test your water. Figure: A workshop participant residing in the Havelock area was concerned about lead in her tap water as her building was really old, say 40 years or older. An aliquot of her tap water was placed in the plastic container (part of the test kit) before dipping the test strip inside and waiting for 10min. Figure: Just like a pregnancy test kit! The pattern of the 2 lines - 1 faint, 1 dark, indicate a negative result. As usual, such a test only tells you YES or NO or in this case, whether the lead level has exceeded the safety level. Do keep in mind that this test kit is designed for USA with a safety level of 15ppb (parts per billion) whereas SG follows WHO standards which stipulate a safety level of 10ppb. Nevertheless, I am not going to get a stressed up over a difference of 5ppb. If the lead level is safe enough for USA, it is good enough for me. Still, doing the test 1 or 2 more times and getting a negative will improve my confidence in the water's safety.